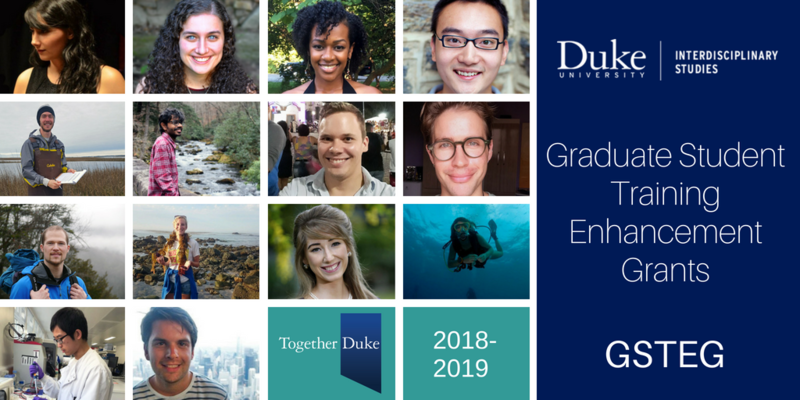 Fourteen Duke University students received Graduate Student Training Enhancement Grants (GSTEG) for 2018-2019 from the Office of the Vice Provost for Interdisciplinary Studies. Stretching beyond their core disciplinary training, these doctoral students will spend up to one semester acquiring skills, knowledge, or experiences that will enhance the approach to their original research. A January 2018 RFP invited all current Duke graduate students (including master’s, professional, and Ph.D. students) to propose graduate training enhancement activities lasting up to one semester. Proposals were reviewed by a panel of faculty and graduate students from across the university.